The first advanced GPS III satellite successfully established remote connectivity and communicated with the Next Generation Operational Control System (OCX), further validating the U.S. Air Force’s modernized Global Positioning System (GPS) is ready to launch its first satellite. On November 2, 2017, GPS III Space Vehicle 01 (GPS III SV01), the first of 10 GPS III satellites designed by Lockheed Martin, and OCX, being developed by Raytheon Corporation, successfully completed Factory Mission Readiness Testing (FMRT). This webinar has taken place. A recorded version is available for on-demand viewing free here. Our informational webinar, “Security Risks with Commercial Drones — What’s the Latest in Detection and Mitigation?”, is sponsored by Rohde & Schwarz and presented by Inside GNSS and Inside Unmanned Systems. It is now available for free viewing on-demand 24/7. The Army is kicking off a wide-ranging, five-year research effort to develop new position, navigation and timing (PNT) technologies for battlefield use. 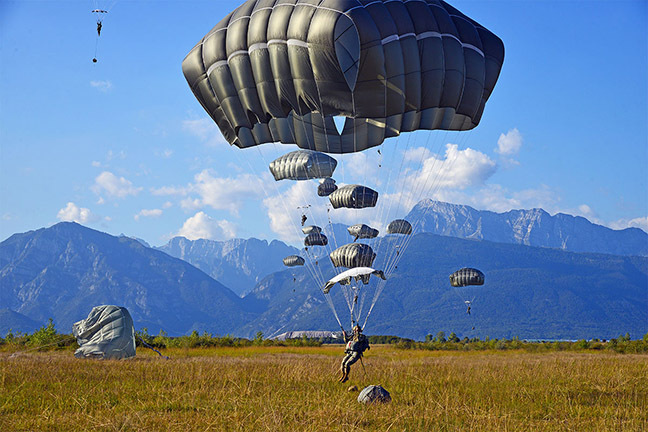 The goal is to overcome technical barriers in a wide range of areas and military officials are offering to fund multiple, and even multi-phase, cost-plus-fixed-fee (CPFF) efforts to do that. The work may range from studies and analysis to development work that results in the production of a prototype-style deliverable or breadboard and/or a demonstration. NovAtel announced Wednesday that its GPS Anti-Jam Technology (GAJT) has been selected for the United Kingdom’s Type 26 Frigates to meet a requirement as part of a protected navigation system. 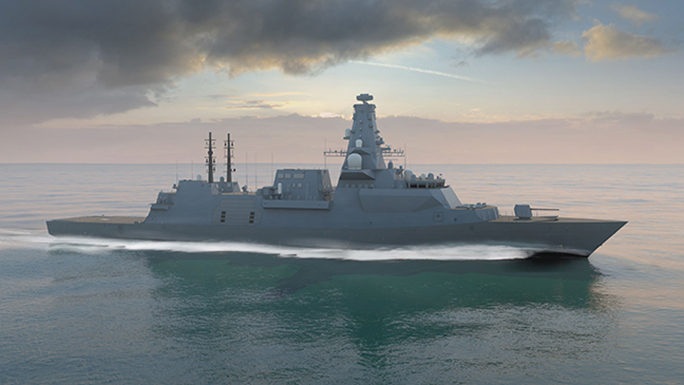 These vessels are 21st Century warships that will replace the Type 23 Frigate as the workhorse of the British Fleet, undertaking the Royal Navy’s three core roles – warfighting, maritime security and international engagement – on the world stage. At the lavish European Satellite Navigation Competition Awards Ceremony, we caught up with Carlo des Dorides, general director of the European GNSS Agency (GSA), who updated us on the status of the much-anticipated Galileo Commercial Service (CS). “On the CS, we are dialoging extensively with EU member states, because there is a more and more consolidated view that there could be an advantage to providing the service for free,” des Dorides said. A highly anticipated presentation by Ligado Networks to the nation’s leading satellite navigation experts took an unexpected turn when the company said it could not provide essential network information because it was looking to the government for technical direction and its business plans were still in flux. The GPS III SV03 fully assembled. Photo courtesy of Lockheed Martin. The U.S. Air Force’s third GPS III satellite in production flow at Lockheed Martin’s advanced satellite manufacturing facility in Denver is now fully integrated into a complete space vehicle. GPS III Space Vehicle 03 (GPS III SV03) followed the first two GPS III satellites on a streamlined assembly and test production line. Technicians successfully integrated the satellite’s major components – its system module, navigation payload and propulsion core – into one fully-assembled space vehicle on August 14. Air Force Space Command announced Wednesday it will begin the next phase of its plan to buy another 22 GPS III satellites in two weeks. The November 22 posting on Fed Biz Opps (fbo.gov) said the highly anticipated Request for Proposals (RFP) would be released on or about December 7. The contract for the new space vehicles is "planned as a single, predominantly Fixed Price Incentive-type contract awarded via full and open competition for production of 22 GPS III SVs." The Global Positioning Systems Directorate, which is poised to launch its procurement of another 22 GPS III satellites, has given its next tranche of spacecraft a name. "We are officially calling this GPS IIIF," Col. Gerry Gleckel, the Directorate’s deputy director, told the November meeting of the National Space-Based Positioning, Navigation, and Timing (PNT) Advisory Board. "Just as there was a IIF that was the follow-on for the GPS II’s, this is the follow-on for the GPS III." The TA7774 iFOG is suitable for autonomous driving and mobility applications, and ADAS. Photo courtesy of AdvanTech International. 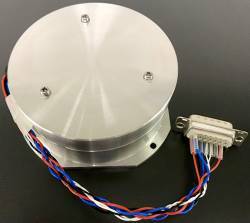 Tamagawa Seiki, an advanced inertial sensing technology provider for aerospace, military and automotive applications, is launching a new, low-cost, tactical grade, interferometric Fiber Optic Gyroscope (iFOG) suitable for autonomous driving and mobility applications, and ADAS (Advanced Driver Assistance Systems). 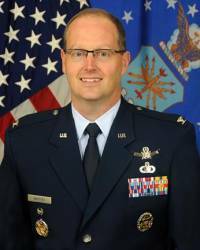 Col. Steven Whitney, the director of the GPS Directorate. Air Force photo. Though lawmakers have made clear their interest in having U.S. military receivers incorporate European navigation signals, an agreement to use the encrypted Galileo signal remains elusive and the normal military requirements process could substantially delay implementation. Esterline CMC Electronics and NovAtel Inc. just announced a new strategic partnership, extending their collaboration in Global Navigation Satellite System (GNSS) positioning technology that started in the late 1990s. The partnership will see NovAtel’s industry-leading GNSS measurement technology integrated into a new Esterline CMC-designed multi-constellation, multi-frequency (MCMF) chipset for certified aviation use.